Alaskans know how to eat. Find another place where people are better at DIY food (hunting it, fishing it, picking it; schlepping it on airplanes, ATVs, snowmachines, kayaks, in backpacks; butchering it, cleaning it, smoking it, freezing it, preserving it). You can't. To eat at our tables is to understand our culture. (Home cooking is another area where we excel!) This newsletter is a place for all things Alaska food. Send your feedback, Alaska food ideas and questions! 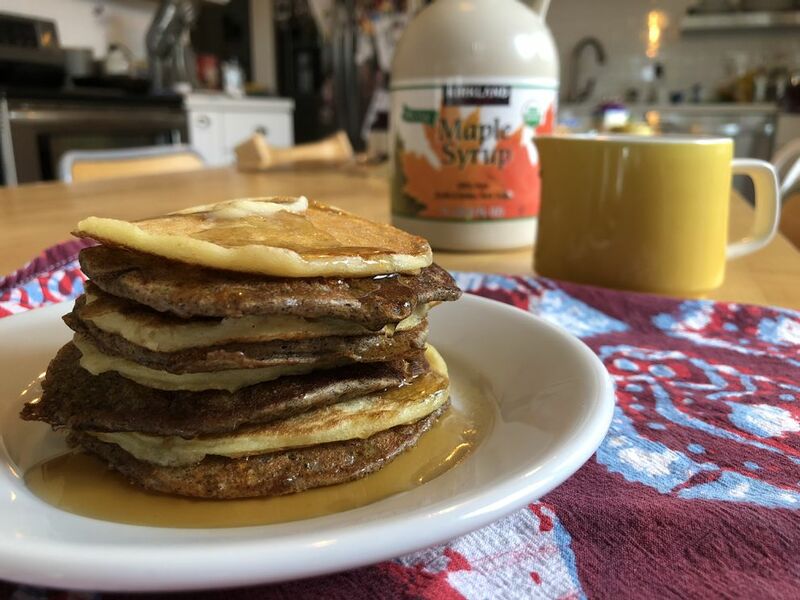 If you're from here, then a sweet, tangy bite of sourdough pancakes can probably rocket you back in time to summer mornings when you were a kid, maybe waking up in the cool air of a cabin on a lake someplace. You can almost hear the propane stove click and the percolator rattle, can't you? And that glass Aunt Jemima syrup bottle, remember? Sourdough might be the most Alaska food ever. Its DIY yeasts are born of our particular air, its sponges were carried in the packs of early adventurers and relied on by the resourceful cooks of pioneer kitchens. There's a whole culty thing about secret recipes and ancient starters. But guess what? You can make pancakes this weekend and they can be awesome without any of that. 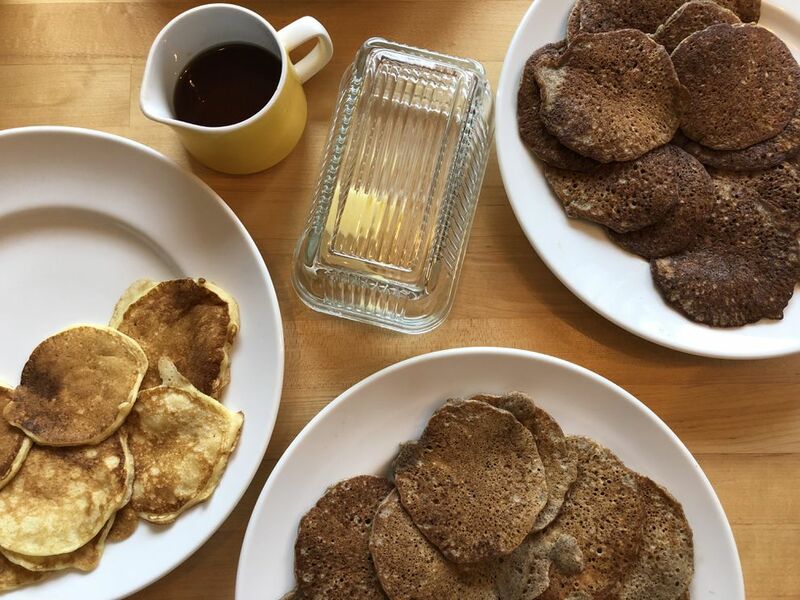 I spent a week, with the help of friends, touching up a vintage sourdough recipe and we have come up with a fairly bulletproof classic recipe (including a '40s-era starter-making hack) plus a bonus recipe that's low on gluten and inspired by the African flatbread injera (BTW: did you know Anchorage has an Ethiopian restaurant now?). Not into pancakes? Let's talk salmon. The bad salmon fishing news is piling up (most recently from Kenai and the Mat-Su) but our market columnist wrote this week on how you can slake your salmon thirst, buying straight from the fishermen for a pretty decent price. Meanwhile Maya Wilson is serving up coconut iced tea down on the Kenai, and she thinks you should, too. And in vintage burger joint news, another titan of the longtime local restaurant scene, Richard Sanchis, proprietor of Arctic Roadrunner, has died. Let's all take a quiet moment to appreciate the years of kind messages on his restaurant signs. And then, with cash in our pockets, go eat an Attu burger in his honor. Please send me your Alaska food questions and ideas or help me test recipes! Happy pancake-making. Thanks for reading. 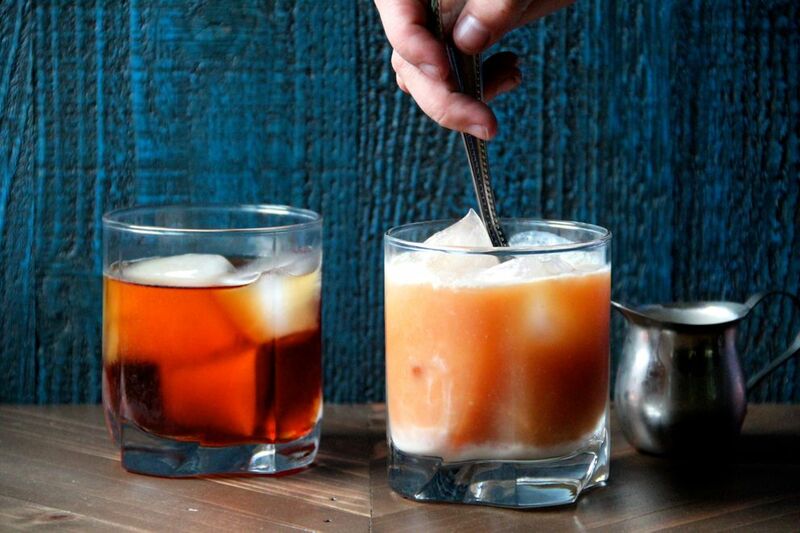 Read last week's newsletter, about important #GinResearch, with a recipe for the historic Alaska cocktail.